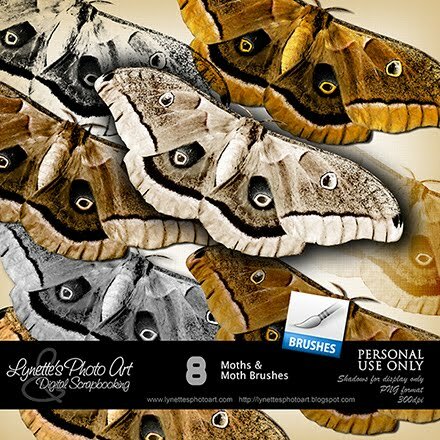 This kit is full of good sized, amazingly detailed moths and moth brushes. Simply gorgeous! Click the image to enlarge. Click the Buy It Now Button under the image to purchase from my PayPal Store for only $1.99! Today I'm giving you a mask I just love that's made with this kit and my Old Book Kit that I'll be releasing in a couple of weeks. Enjoy! Thank you so much for this post. I want to let you know that I posted a link to your blog in CBH Digital Scrapbooking Freebies, under the Page 7 post on Jul. 15, 2011. Thanks again. Thank you so much for sharing your beautiful posts! God Bless!